This recipe was developed by our good friend The Spiffy Cookie, so the credit - apart from the Pomora Lemon olive oil - goes to Erin! 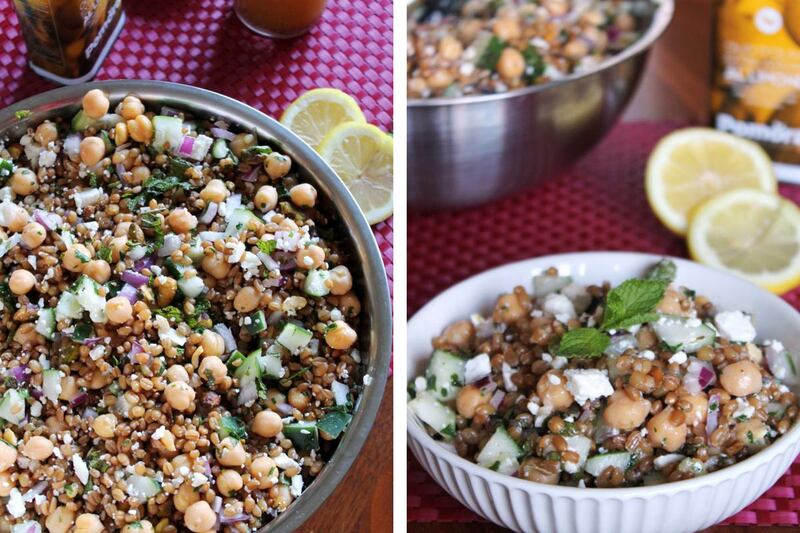 Move away from a typical green salad and substitute with some nutritious wheat berries, add in some Mediterranean delights - including some Zesty Lemon Pomora olive oil! - and you have a healthy new salad recipe. Yum! For full instructions, please visit The Spiffy Cookie.